At OrderYOYO we value our customers and the employees at the same time. We’re a young and fast-growing company with highly skilled professionals in a diverse environment. We’re more than 100 employees with over 20 different nationalities as part of the YOYO family.  OrderYOYO was established based on the knowledge and research of the takeaway market. We are in contact with our customers daily and this requires a high level of professionalism and know-how. At the same time, we believe in developing our employees by having a great sense of responsibility and pride in our work. With more than 20 different nationalities we cherish diversity and the respect it involves. We expect people to be different and focus on the expertise and professionalism that every person brings to the table. We value a positive mindset and we believe that happy people create positive synergies. It’s part of the everyday pulse at OrderYOYO to help out your colleagues and chip in with your expertise when needed. We eat lunch together and have genuine interest in getting to know each other better every day. Vi leder efter en dansktalende mødebooker, som bliver tændt af at booke møder til vores to sælgere. You will be working from our office located in Copenhagen, and here you will get colleagues from all over the world. This role is perfect for people who are interested in gaining further work experience in an international workplace. Key focus will be to pro-actively contact and visit our partners and build good rapport and trust. We are looking for full-time Customer Success Assistants to join us for a fixed term of 3 months.